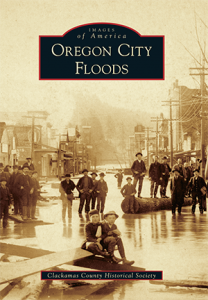 Karin Morey, historian of Oregon City and avid researcher, discusses her recent projects and publications about Oregon City’s floods, pioneers, and Army service men and women. Can you tell us a little about your publication(s) and yourself? I have had an interest in Oregon City history for over 60 years, having grown up hearing the stories of the city’s history from Wilmer Gardner, one of the founders of the Clackamas County Historical Society. After retiring 15 years ago I was able to spend more time on research and to look for ways to share the city’s history. What interested you in this/these topic(s)? For several years I volunteered at the Museum of the Oregon Territory and was able to make use of the documents and photographs in their collection, as well as those maintained by the Clackamas County Family History Society. 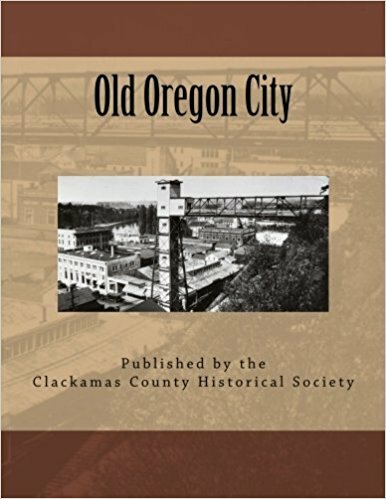 The first book I worked on was a reproduction of Wilmer Gardner’s “Old Oregon City” with minor corrections to his original text and new scans of the photographs he had chosen to illustrate the city’s history. With the help of Adrian Wegner, a volunteer who was very adept at scanning and bringing out the best in the photos from the 19th and early 20th century, we were able to reproduce the long out of print book. Our next project was an “Images of America” book for Arcadia Publishing focusing on the various floods in Oregon City. Preparing the book involved researching newspapers from the 1840s through 1996 as well as other print sources and choosing photographs to go with the narrative of each major flood. After leaving my volunteer position at the museum I began to focus my time on the Mountain View Cemetery, a city owned pioneer cemetery with burials dating back to 1848. I started a blog to share the stories of the early settlers of Oregon City and their descendants. In the process, I was asked by city staff to help identify Civil War veterans buried in the cemetery. A friend of mine had started this project and had located 80 veterans. Through further research in the Oregon City newspapers and online Civil War records I have been able to identify over 150 Civil War veterans in Mountain View Cemetery and am still discovering one ones while working through each burial lot in the old portions of the cemetery. While learning more about these veterans, I noticed that many of them were members of the Oregon City Grand Army of the Republic Post, Meade Post No. 2. Knowing little about the G. A. R. I began to research the organization and to look for more information on our local Post. During the search I located the first two rosters of the Post mixed in with material from the Women’s Relief Corps, the women’s auxiliary of the G. A. R. Post. In comparing a previous transcription of the rosters I noticed several differences in the typed copy from what I had found so far on the veterans at Mountain View. Having the “modern amenities” of digitized newspapers, online genealogy sites and sites such as Find A Grave and Billion Graves, I was able to compare the original handwritten rosters to other sources to more easily decipher the spellings of their names and companies they served in as well as locating where almost all of the 400+ members of the Post were buried. 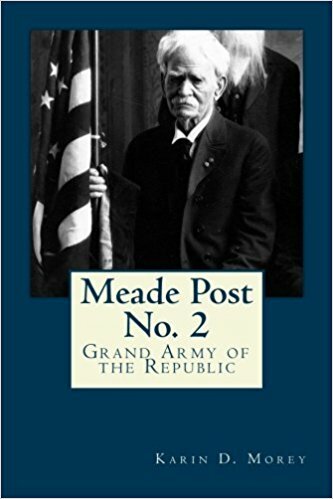 This resulted in a book to help preserve the information from the rosters, Meade Post No. 2, G. A. R. The book includes information on each member as well as the activities of the Post, a great deal of which came from local newspapers. The digitized newspapers from U of O have made it possible to do a large portion of my research from the comfort of home rather than long hours on microfilm readers at a local library or museum. The ability to search for a specific name or term instead of advancing frame by frame, reading every word on every page, has cut down my time by 100s of hours. In my research I have also found the newspapers from other cities very useful as families moved around the region, people died while out of town and were returned to Oregon City for burial, or if a copy of local paper is missing, the news may have been reprinted in another newspaper in the state. The digitized newspapers have made it possible to complete more in less time and are greatly appreciated! Where can we purchase/access your book(s)? All three books I have worked on are available through Amazon and other booksellers. I am currently working on two projects. 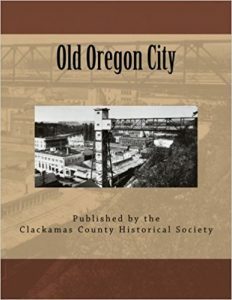 One is the municipal history of Oregon City, beginning with the elected and appointed officials for each year from 1844 through 1923 when the city changed from a Council to a Commission system. To make my research easier, I had transcribed the handwritten City Council minutes from 1850 through 1911 when they converted to typewritten minutes, which had then been shared with our City Recorder. In doing the transcriptions I found many facts about the city I had never seen in print and decided to further research the various municipal activities and compile them into a book for easier access. 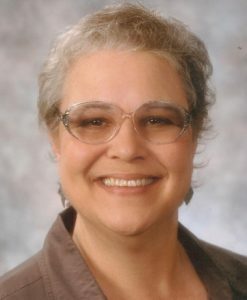 This is a work in progress and is greatly aided by access to the digitized newspapers from Oregon City when confirming elections and the text of city ordinances as well as the editorial content when the local newspaper editor was, or was not, in support of the direction the City Council was moving. The final book will list the city officers, a few of the “highlights” of the term, a sample of ordinances passed and a summary of major construction projects for each of the years. The other project is a more organized summary of every burial, lot by lot, in the oldest portions of Mountain View Cemetery. This includes brief biographical information, whether the individual is a veteran and/or an Oregon Trail pioneer, occupational information and family relations in family lots. A large part of this research is done through obituaries and “social notes” in the digitized newspapers. I also compile a weekly blog called “The Week That Was OC.” The blog is a selection of newspaper articles for the current week in each year ending in the same digit as the present year, such as 1848, 1858 etc. now that we are in 2018, from 1846 through 1922. It gives a little history, a little scandal and a little humor from the past of our city. Thank you for your contributions to the history of Oregon City, Karin! If you use Historic Oregon Newspapers online and would like to share your work with us, please contact us!